Any true traveller or explorer can appreciate a good map. As such, we figured an article appreciating some beautiful, informative and creative maps from around the world would be spot on! 1. How much snow it typically takes for school to be cancelled in the US. 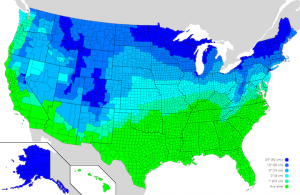 A slightly neon map showing us the different levels of snow and its affect on schools closing in the U.S. It might not be the most pleasing on the eye but a lot of information can be digested from this informative map. 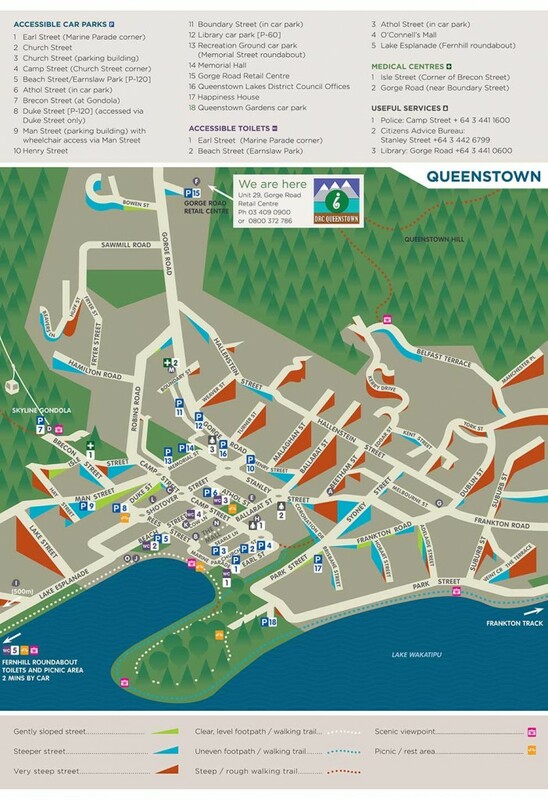 A disability-friendly area chart, with clearly displayed gradients of steepness for each street. A real utility map! 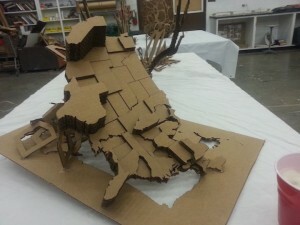 A very “hands on” and much more creative map showing the population levels throughout the US, which was made by a student. Yes you did read correctly. 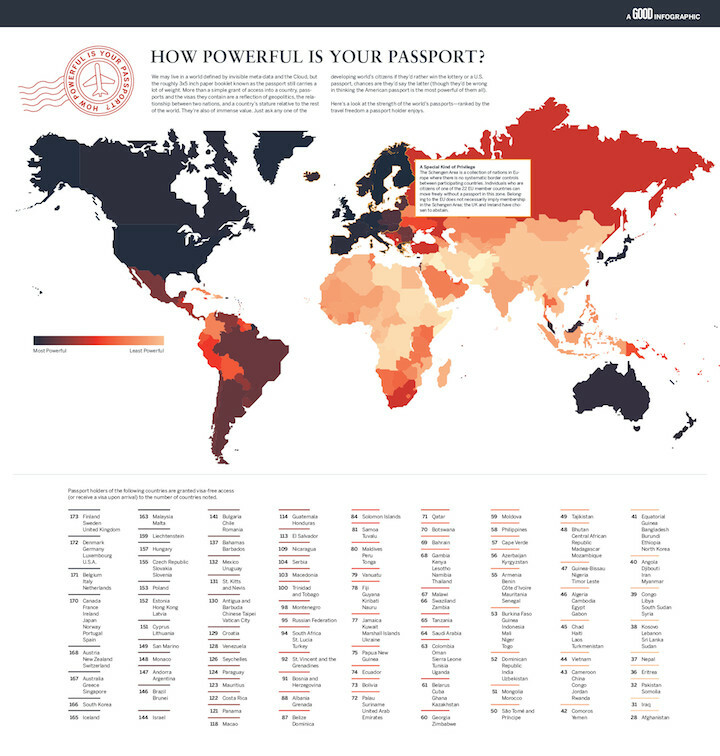 This well-designed map shows us how powerful those little passports can be, depending on the country. Thoroughly interesting map showing income and population levels throughout the world. 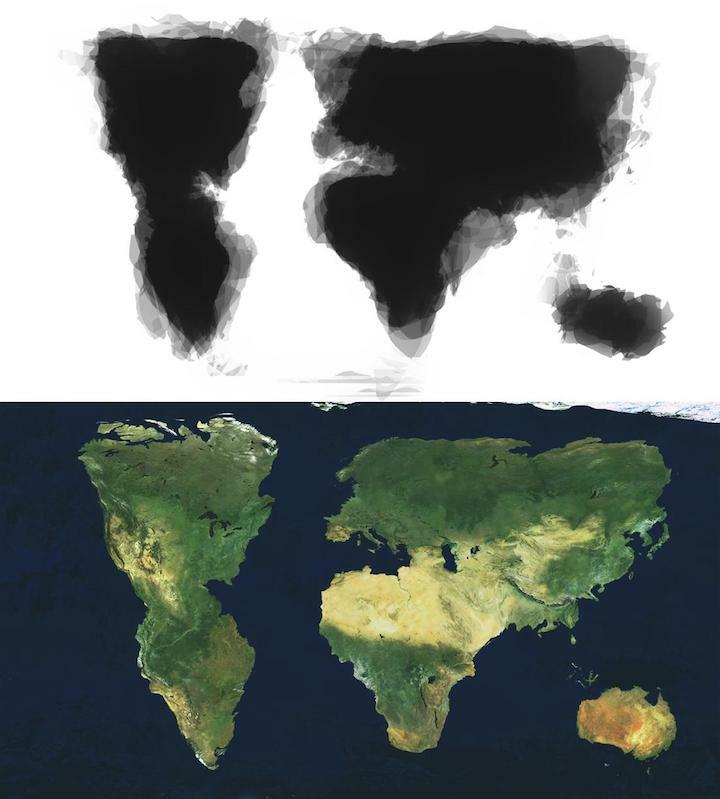 Someone had 30 people draw a map of the world from memory and then digitally merge all the drawings together to create the following map. Overall not a bad effort! 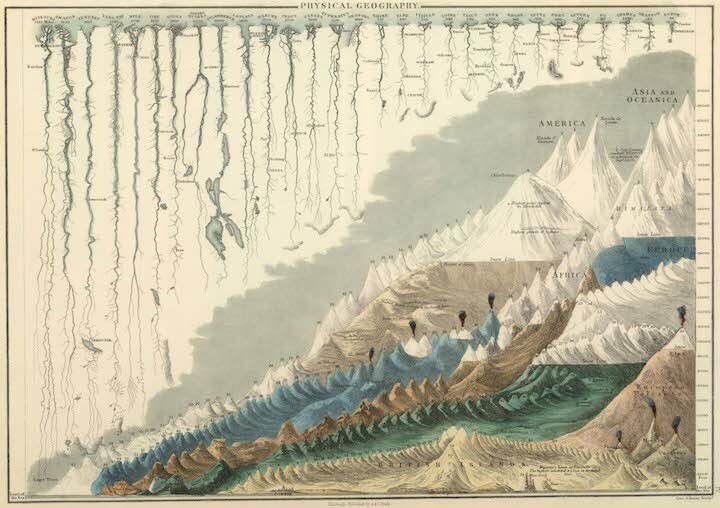 A map dating all the way back to 1854, showing the worlds tallest mountains and longest rivers. 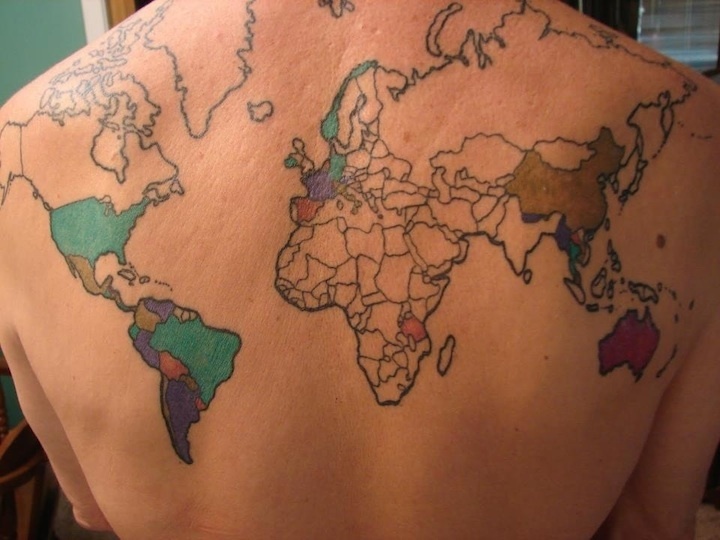 Lastly, something to mix things up, someone had the world map tattooed to their back and the coloured areas shows the places they have visited. We hope you enjoyed are slightly different article this week. 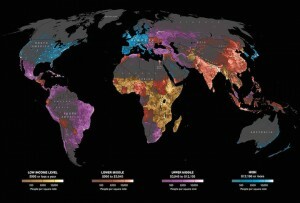 Who knew maps could be so interesting and different?